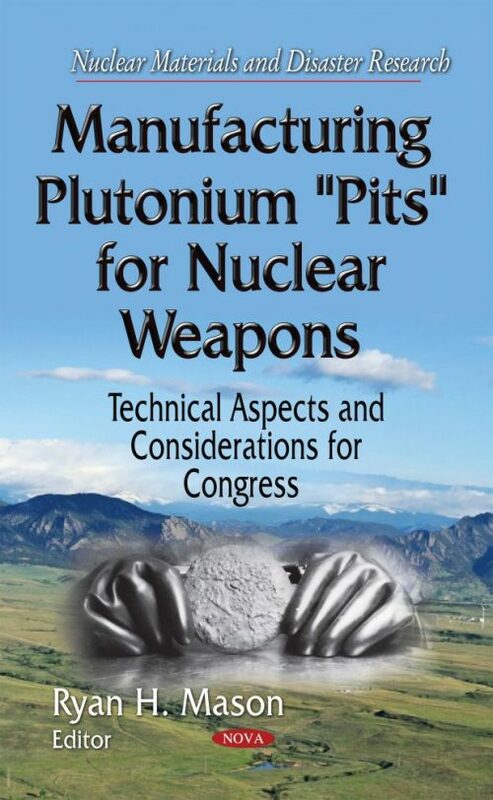 A “pit” is the plutonium “trigger” of a thermonuclear weapon. During the Cold War, the Rocky Flats Plant (CO) made up to 2,000 pits per year (ppy), but ceased operations in 1989. Since then, the Department of Energy (DOE) has made at most 11 ppy for the stockpile, yet the Department of Defense stated that it needs DOE to have a capacity of 50 to 80 ppy to extend the life of certain weapons and for other purposes. Pit production involves precisely forming plutonium—a hazardous, radioactive, physically quirky metal. Production requires supporting tasks, such as analytical chemistry (AC), which monitors the chemical composition of plutonium in each pit. This book discusses the technical aspects of manufacturing plutonium pits for nuclear weapons.